How Valuable is Hosted Data Backup to Businesses? If you’ve ever had that heart stopping moment when you’ve lost important data or had a close call you’ll know how valuable your data recovery plan was in this moment. Backing up data is a privilege that modern technology provides us with and long gone are the days of losing data for good which can severely impact businesses. But how valuable is hosted data backup and is it worth investing in an IT management company for this kind of service? With the increasing threat to personal data from cyber hackers, data backup is needed more than ever. If you don’t already have a data recovery plan we suggest you seriously consider putting one in place. There is so much software out there that provide data backup, but these are often only limited to covering the physical hardware in your office. Every file should be covered wherever they’re stored and your recovery plan should be fast and reliable, something only hosted data backup from an IT management company can provide. It’s important not to take any risks when it comes to protecting data and the fastest, most reliable recovery plans are certainly valuable for business and here’s why. When you lose data your priority is getting it back as quickly as possible as losing it for good can ruin businesses. At ICT Solutions we restore data straight from the cloud and onto your servers. We load data onto secure discs and send them to you for local recovery. Storing data via the cloud is a great insurance policy as in the event of damage or theft of your physical devices we can easily recover your data remotely via the cloud. Any amount of downtime can impact businesses in terms of productivity and profitability so it’s important to limit downtime as much as possible. When systems go down you’re unable to access data and for most organisations accessing data is how their business functions. This often means your team has to down tools until data is retrieved which can be costly to your business. However, with hosted data backup via the cloud we’re able to speedily recover data so that business operations can return to normal in no time. Hosted data backup doesn’t have to cost a fortune and is in fact a more cost effective way of protecting your data. Storing your data offsite saves you the cost of physical server maintenance. 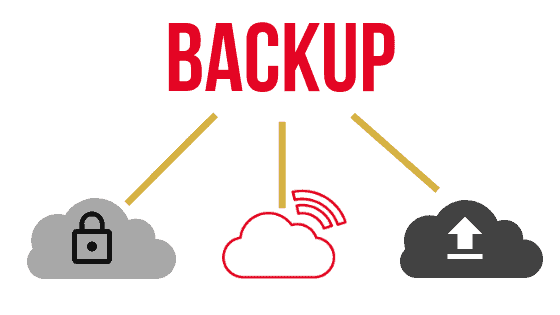 Plus, as our hosted data backup system is cloud based there’s no need to buy new hardware, you can save money and reduce overheads by only paying for the resources you use. Keeping your data secure and preventing theft of data is a huge priority in business and hosted data backup is one of the most effective ways of securing your data. With hosted data backup, data is stored in a secure location away from your premises. Storing data remotely reduces the risk of data being hacked or stolen as it will be more difficult for thieves to locate and access. Keeping data stored on your physical hardware is problematic as if this hardware is stolen you can say goodbye to your data, whereas if your hardware is stolen whilst you have hosted data backup you may not get your computers back, but you will still be able to recover your data. Hosted data backup is certainly valuable with ICT Solutions as we offer a fast, reliable and cost effective service. We understand how valuable data is to your business which is why we offer an efficient service with continuous support from our dedicated IT support team who are on hand 24/7 prepared for when disaster strikes. There’s no time to waste when it comes to backing up your data so give us a call today on 0151 230 2424 to have your data migrated onto the cloud.